Filters for mounting in-line. Flow rate up to 1400 l/min. Working pressure 30 bar. LMP series filters are designed for return lines, and are installed In-line. Specifically designed for use on large industrial applications. 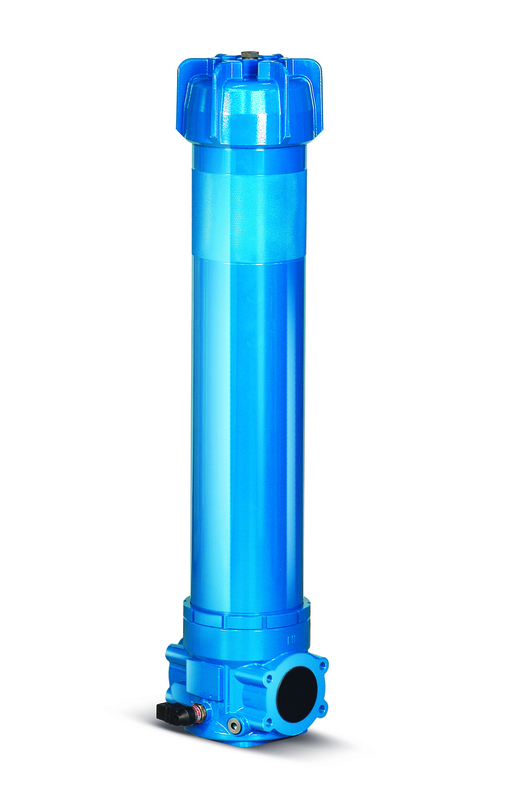 The LMP-950 series is a superior and cost effective filter for high flow, low – med pressure applications. Ideally suited to lubrication systems, production machinery and other industrial applications where superior filtration is required for maximum equipment efficiency. The inorganic microfibre elements offer extremely efficient filtration and excellent dirt holding capacity with a Beta ratio of 1000. The LMP-950 series is available with in-line or 90 degree porting for manifold or duplex mounting applications. 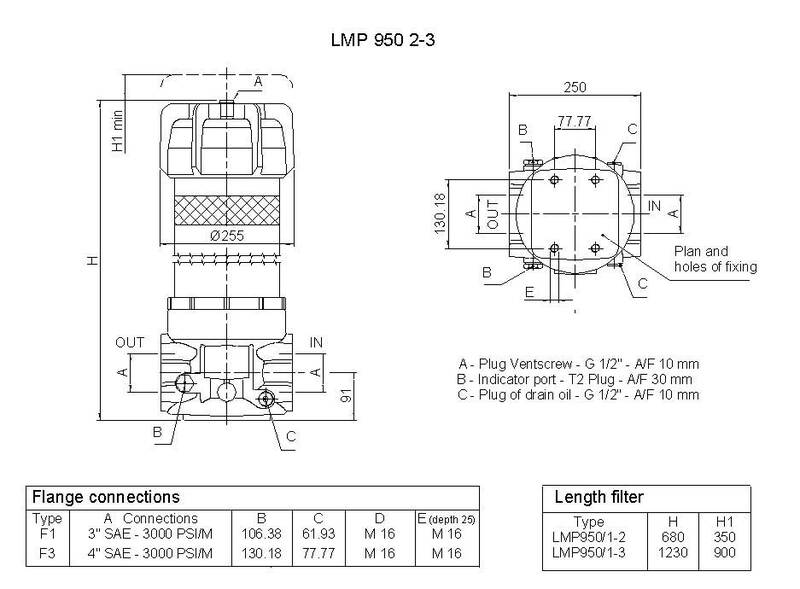 The LMP-950 series filter utilizes the differential type indicators available as Visual, Electric or Visual/Electric. Represents exceptional value in both cost and efficiency with 2 SAE Flange sizes to accommodate most applications. NB: Flow rates are based on oil with 30cst viscosity and pressure drop of filter assembly of 0.6 bar. string(82) "Filters for mounting in-line. Flow rate up to 1400 l/min. Working pressure 30 bar."